WINNIPEG–An American Indian Movement leader who visited Iran is now the head of a Manitoba chiefs organization. 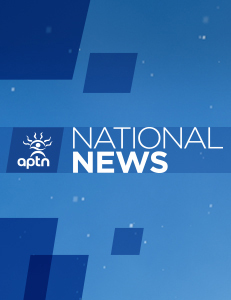 Terry Nelson, an AIM National vice-chair, won by two votes on the fourth ballot during an election Thursday for the next grand chief of the Southern Chiefs Organization. Nelson will serve a three-year term. Nelson, who was also chief of Roseau River First Nation for eight years, visited Iran in the fall of 2012. Nelson, however, says he can’t act as a “renegade” in his new position because he has to represent the interests of 33 chiefs. Nelson, who beat Norman Bone 16 votes to 14, said he has to reach out to the chiefs that didn’t vote for him. Nelson said he has no worries about possibly clashing with Aboriginal Affairs Minister Bernard Valcourt or Prime Minister Stephen Harper. Nelson campaigned on the promise to create five urban reserves in Winnipeg and between eight and eleven new rural reserves in Manitoba. Nelson has also campaigned on the need get First Nations off dependence on Ottawa cash through foreign investment and taking control of natural resources. Nelson called for a national day of action in 2007. While the 401 Hwy in Ontario was blocked for several hours by the Mohawks, Nelson called his planned rail blockade off after then Aboriginal Affairs Minister Jim Prentice offered to turn 75 acres of land to reserve status as part of a an over 100 year-old claim. Former SOC grand chief Murray Clearsky resigned over a spending scandal and his former chief staff faces a sexual harassment human rights complaint. The member SCO First Nations include: Berens River First Nation, Birdtail Sioux Dakota Nation, little Black River First Nation, Bloodvein First Nation, Brokenhead Ojibway First Nation, Buffalo Point, Canupawakpa Dakota Nation, Dakota Tipi First Nation, Dauphin River First Nation, Ebb and Flow First Nation, Gambler First Nation, Hollow Water First Nation, Keeseekoowenin Ojibway First Nation, Kinonjeoshtegon First Nation, Lake Manitoba First Nation, Lake St. Martin First Nation, Long Plain First Nation, O-Chi-Chak-Ko-Sipi First Nation, Pauingassi First Nation, Peguis First Nation, Pinaymootang First Nation, Pine Creek Anishinabeh First Nation, Poplar River First Nation, Rolling River First Nation, Roseau River First Nation, Sagkeeng First Nation, Sandy Bay Ojibway First Nation, Swan Lake First Nation, Tootinaowaziibeeng First Nation, Waywayseecappo First Nation.